The first of the Sheep Milk is coming into the house, Carmel only had one lamb who is nicknamed Shady Lady and she is old enough to be put into a nice little lamb creep with water/hay/lamb crumbles for the night so I can milk her mom in the morning for fresh house milk. Making a good Caramel Sugar is tricky. So tricky.. I am going to put a video in here to give a helping hand to seeing how its done. Farmgal Tip: Add your 1/2 tsp of Fancy Molasses and even if you just slightly under boil it, you will still now have a nice golden hue to it. Heat up your milk, sugar and Vanilla together till its steaming hot but not boiling.. very slowly, carefully using a whisk add the egg into the very warm milk. If you do it slow and steady with lots of movement by the whisk, it will come out so smooth and silky when cooked. In your baking pan, pour the sugar into the bottom and let it cool. Then start making your Custard and at the same time put your tea kettle on to start your boiling water and pre-heat your oven to 350. When your crème custard is done, gently pour it the cooled brown sugar topping and place your pan or small custard cups into a larger cake pan which you will fill to the half way point with water. Cook for 20 to 22 minutes, allow to sit to cool, then place in fridge and serve very chilled. Run your knife around the rim and then place your plate over the top and Flip it over and Serve as is or with a touch of whipped cream, if you like. 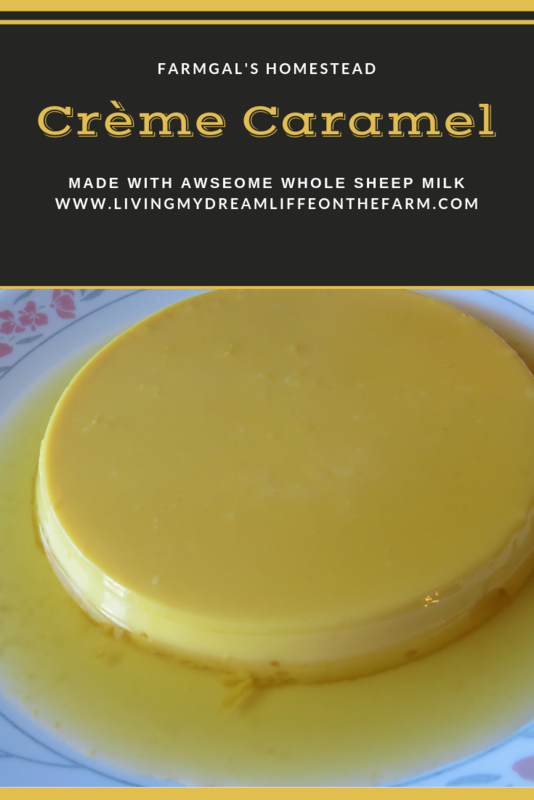 This entry was posted in Food Production and Recipes, Sheep Milk and tagged Baking with Sheep Milk, Creme Caramel made with Sheep milk, Creme Caramel Recipe, Desserts made with sheep milk, Ways to use Sheep milk. Bookmark the permalink. Delicious. My sister’s husband makes this with cow’s milk from the farm, and it’s their standard treat at Christmas. I must admit I have never tasted sheep’s milk, does it taste very different? 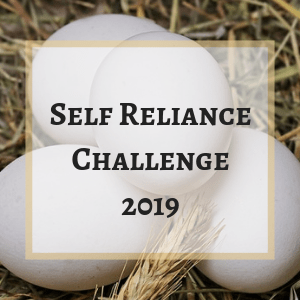 Good Morning Silver, I loved your last post and will be sharing it and responding to it on your blog and here as well! Sheep milk is very rich, I think when comparing it to cow milk, its a bit thicker in texture and its rich like a good whole Jersey milk would be. It does not have a “sheep” taste in the same way as goat can.. much more like cow milk in the flavour profile that way. Reblogged this on Life and Living on My Old Kentucky Homestead. I want to have some of this…sounds delicious!